Remembering Roberta A. "Bertie" Koch | Remembering Roberta A. 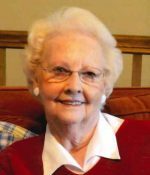 "Bertie" Koch | De Soto Obituary Search | Dietrich-Mothershead Funeral Home, Inc. Remembering Roberta A. "Bertie" Koch | De Soto Obituary Search | Dietrich-Mothershead Funeral Home, Inc.
Memorial Gathering: Friday, November 30, 2018 from 3:00pm until 7:00pm at the Dietrich-Mothershead Funeral Home.